Sacred Heart places a strong emphasis on the passionate pursuit of excellence through intellectual engagement and the development of mind, body, and spirit. Through each of our core disciplines -- English, Math, Science, History, Social Studies, Languages, Technology, Psychology, and the Arts -- Sacred Heart students challenge their personal resilience and resourcefulness, integrity and curiosity, perseverance and self-knowledge. Most of all, we aim to instill in our students a lifelong love of learning and confidence in their own capabilities. A strong foundation in humanities enriches all aspects of our students’ education, and serves as a catalyst for intellectual growth. Critical thinking and reading and writing skills promote their understanding of themselves and others. The interdisciplinary study of STEAM gives students the opportunity to observe, question, explore, analyze, develop and design – empowering them to propose solutions to problems, and ask questions that have never been asked before. Our focus on sound reasoning, collaboration and creative problem-solving result in our students’ knowing that they have the tools to conquer whatever challenges come their way. In all three academic divisions (Lower, Middle and Upper School), we emphasize public speaking skills through both effective speaking and listening to captivate and communicate, and promote the exploration of global citizenship to explore global perspectives and develop our students into well-informed, open-minded and compassionate global citizens. Through close-knit faculty-student relationships, diverse teaching strategies and extracurricular activities, Sacred heart students are challenged daily to discover and develop intellectual passions and maximize their unique individual potential. 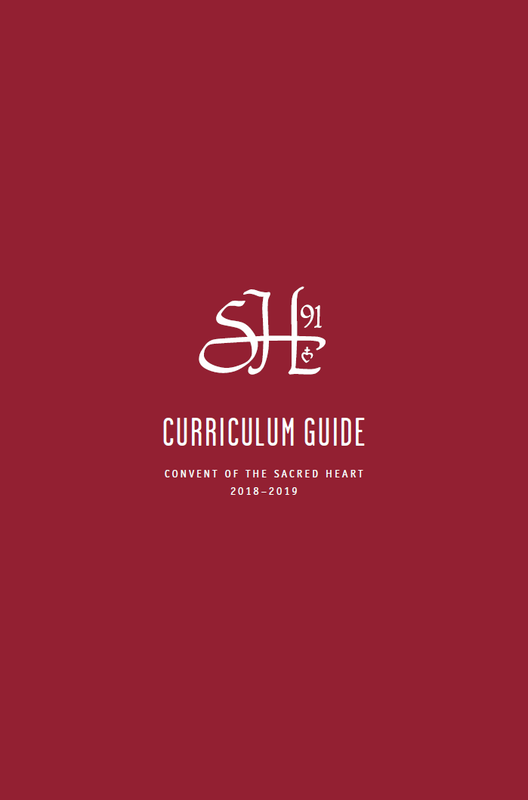 Please view the Curriculum Guide for a complete look at the Pre-K through Grade 12 curriculum. Please click here for a current list of 91st Street's Administration, Faculty and Staff.